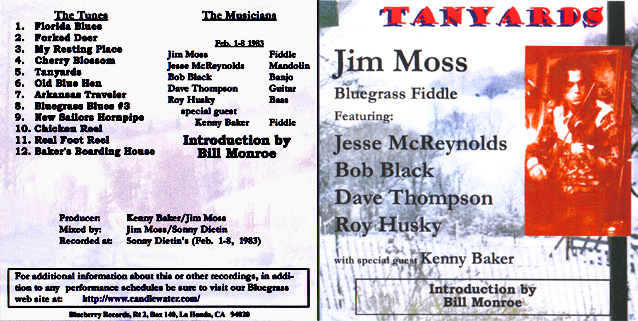 From the Jim Moss 1983 Bluegrass Fiddle album "Tanyards"
Dave Thompson: guitar & Roy Husky: bass. Take a look at the Bob Black Banjo Tab pages. and take a look at these other Jim Moss / Frank Wakefield pages. Please comment: Double Click Here-> AudioLst@mossware.com to email us.